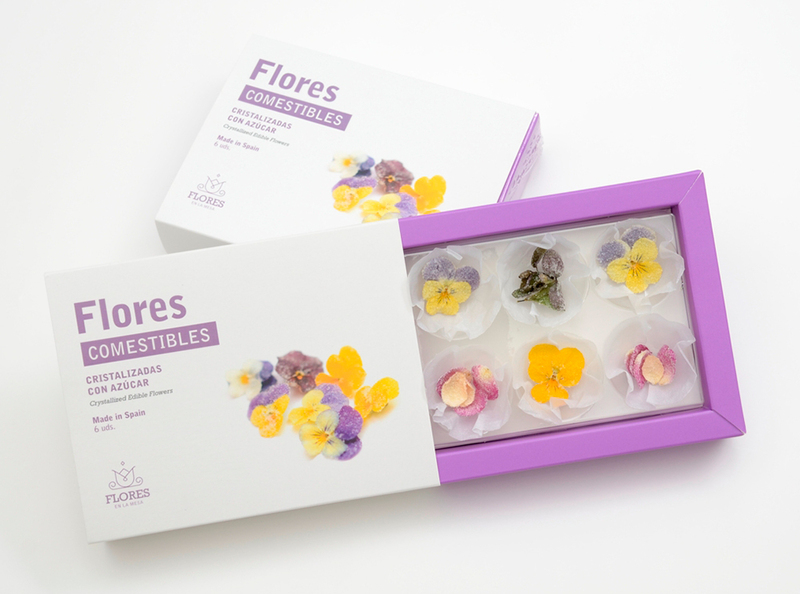 Flores en la mesa is an Aragonese company that grows and sells fresh edible flowers and crystallized flowers. These unusual products are based on plants that are carefully grown, free from chemicals, intended for human consumption. Crystallization is done by hand, slowly, to respect the anatomy of the flower and to preserve its shape and aroma. The process is artisanal and labor-intensive, for a high-end product intended for the gourmet market. The plant nursery business is seasonal, with activities that vary according to light and plant lifecycles. 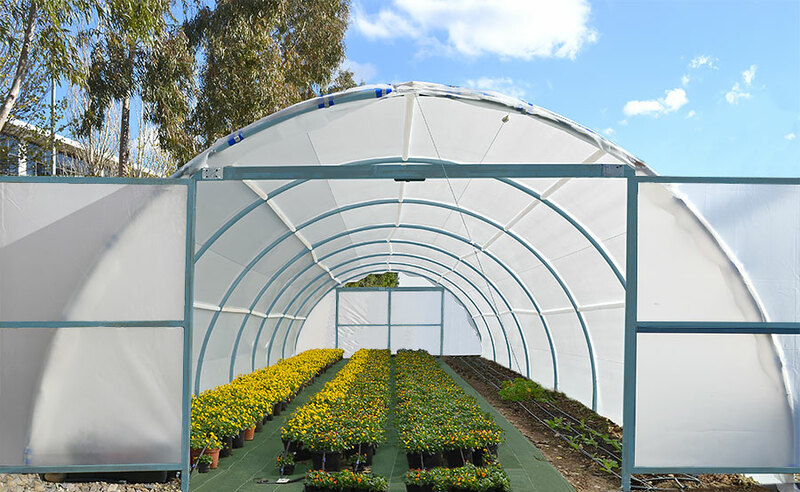 Raising seedlings and flowers requires greenhouses to keep temperature, light exposure, and nourishment at levels that facilitate the plants’ growth and development. Energy costs can be important. As a startup entrepreneur, Laura was aware that sensors could help her in the daily tasks of raising flowers. “With modern technology we give people a way to experience culinary traditions that are centuries old,” said Laura Carrera. “The edible flowers we grow are served in some of the most innovative restaurants in Spain. 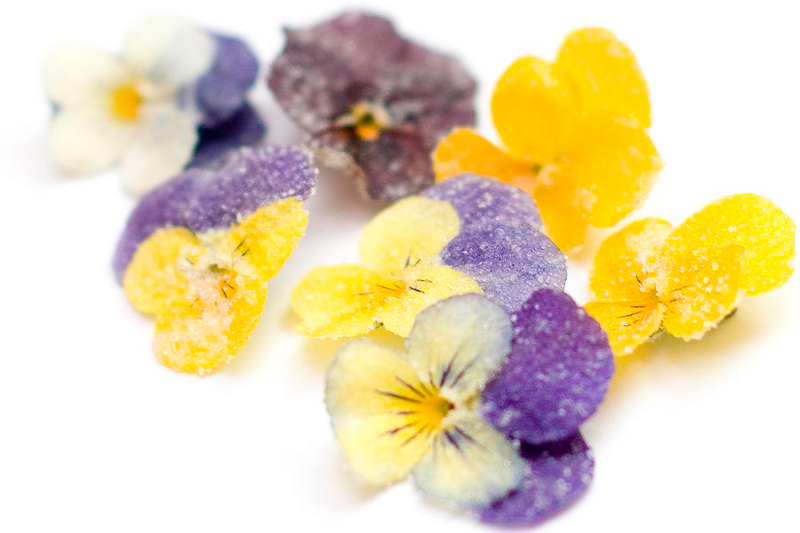 We also crystallize the flowers, a process where we dip them in egg white and cover them with a sugar coating. The flowers last more than nine months this way.” The Flores en la mesa team is composed of engineering graduates in food science and technology, with specialized training in nutrition and dietetics. The edible flowers are grown in controlled environment greenhouses on site, some sown in soil according to precise cover calculations. 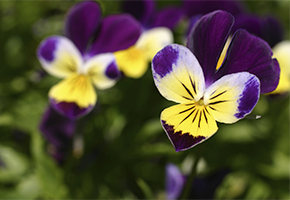 Plants such as mini-pansies and chocolate mint seedlings are transplanted from planters to soil, while nasturtium and borage seeds are sown in place in raised beds. The company works with 25 different varieties of edible fresh flowers and has already carried out advanced research with orange blossoms (known as Flor de Azahar, or fleur d’oranger). 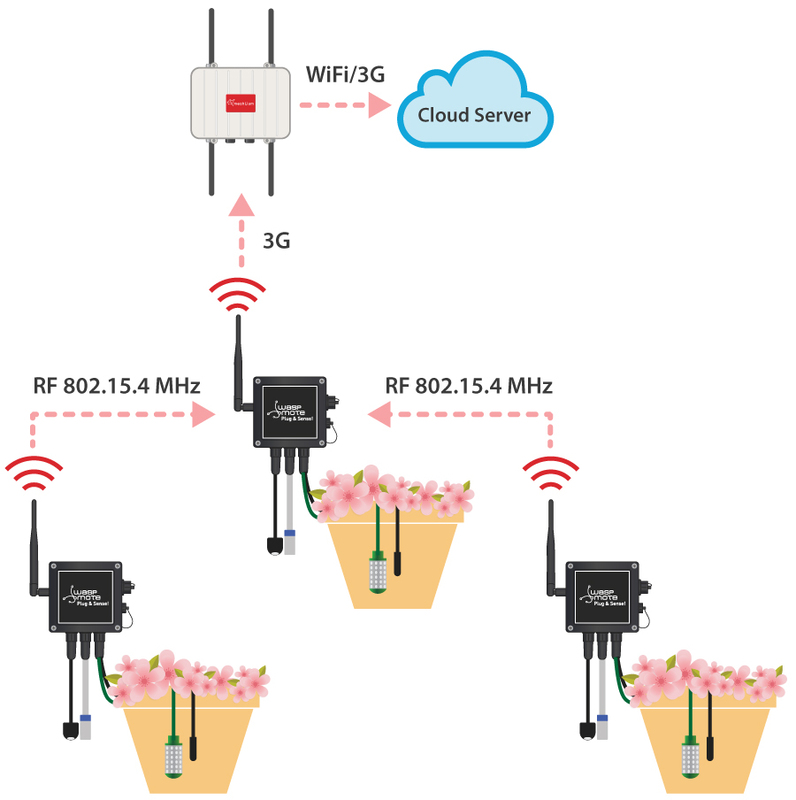 Sensor networks can help automate and monitor many activities that involve growing the plants, preparing fresh flower trays, and collecting fresh flowers for the crystallization process that takes place in the workshop. Flores en la mesa reserved an area and a greenhouse structure for its sensor installations. The system includes Waspmote Plug & Sense! Agriculture nodes installed in a greenhouse, to measure factors such as temperature, humidity, solar radiation, and luminosity over a large cultivated surface. The greenhouse measures 12×5 m – 60 m2, with two auxiliary plantations (interior and exterior). 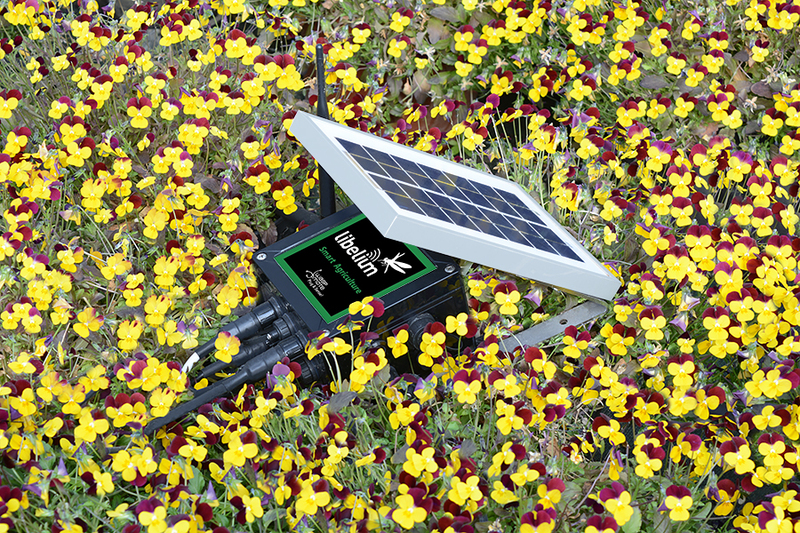 Some of nodes are equipped with solar panels to harvest energy, and communicate via XBee and 3G modules. 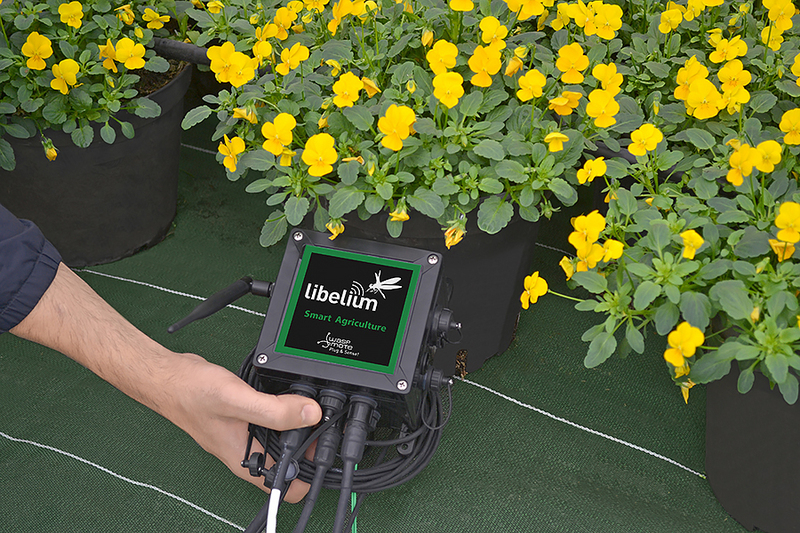 For Flores en la mesa, collaboration with Libelium to deploy wireless technology allowed the installation of an automated irrigation system with real time data control, capable of recording and adapting to environmental conditions inside the greenhouse. The variety of sensors monitors a wide-ranging range of parameters of interest. 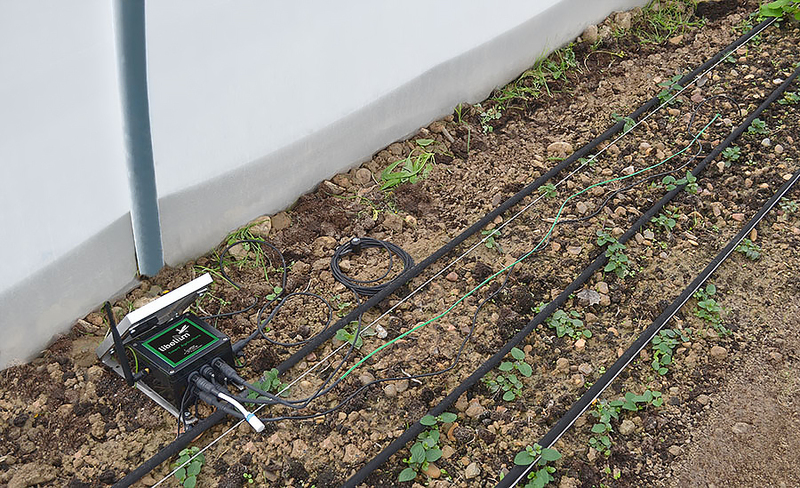 The system can check that the irrigation system is working properly, whether on automatic or manual modes, and avoid using the drip irrigation during freezing periods when plants and tubes could suffer damage. Monitoring pH control can show the effects in the variation on flower color and growth. Water temperature and electrical conductivity levels help study the parameters appropriate for plant growth. 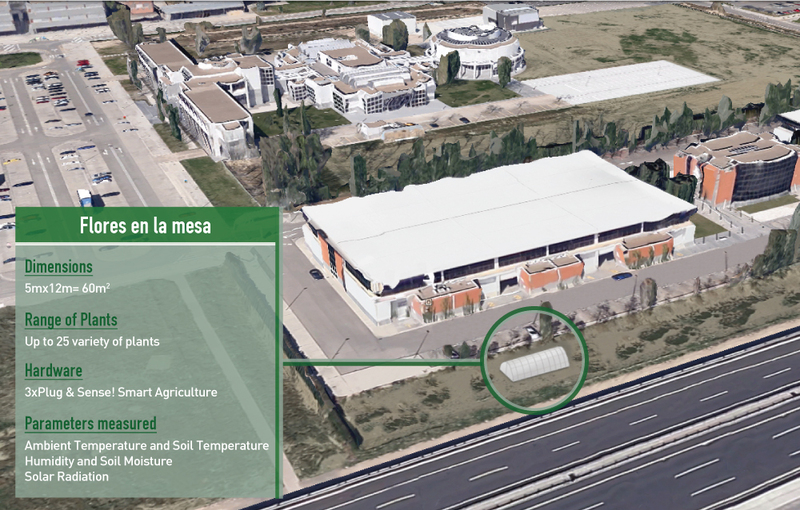 The system allows data presentation in graphic format, to study the effect of seasonality in cultivated varieties and take action when the values reach inappropriate levels. Flores en la mesa assembled the greenhouse and covered it with a plastic awning to make sure the structure was rigid and capable of withstanding the weather. The structure includes a water inlet and electricity outlet. Sensor nodes have direct access to power, with probes situated at various levels, from the ground to the greenhouse ceiling, in position to capture and measure the different parameters. Waspmote Plug & Sense! Agriculture boards are fully charged and programmed, from the factory. To connect them, Libelium created a XBee network with star topology. Two of the nodes send data periodically every 15 minutes to the central node. This node collects the data along with its own sensor data and sends it via 3G to a server. The data can be stored on Meshlium internal memory and visualized through its web interface. With Waspmote Plug & Sense!, sensor probes can be added or replaced without the need to uninstall or interrupt the network. Installing Waspmote Plug & Sense! Installing the sensor nodes was as easy as sticking the sensor probes in the ground to cover soil moisture and soil temperature sensors and turning the Waspmotes on. The company’s ongoing study and analysis of the sensor data allow flexibility to experiment with planting and harvesting dates, and general cultivation cycles. Roses, for example, are susceptible to fungal infections. Nasturtium responds best in warm climates, but their optimal cycles are different in a more severe continental climate. “While there are many studies of food plants such as corn or wheat, there is not much research on ornamental and edible flowers. What we are learning in our work with sensors is valuable for our customers, and allows us to develop new products.” said Laura Carrera, Flores en la mesa. Libelium has prepared an IoT Vertical Kit so you can simply develop similar projects as fast as possible. 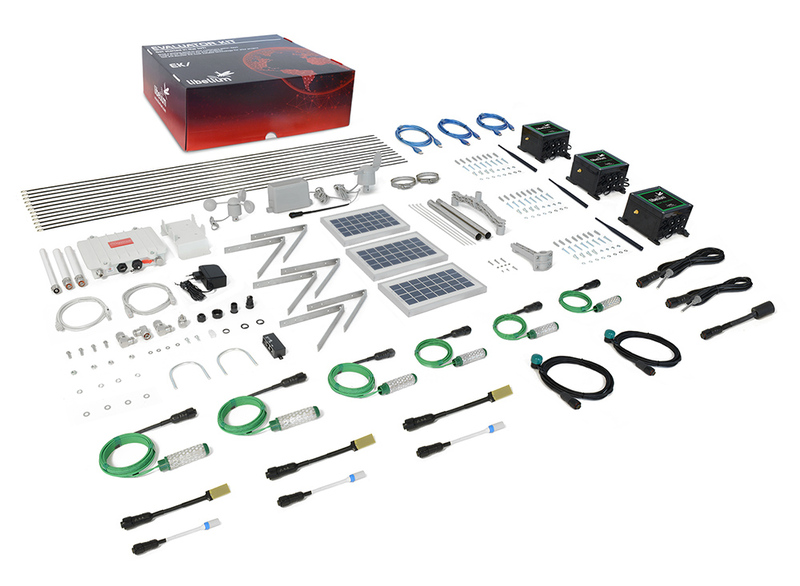 The new Smart Agriculture IoT Vertical Kit is factory programmed, and enables monitoring of environmental parameters in agriculture, vineyards, greenhouses or golf courses. It includes three Waspmote Plug & Sense! nodes that allow to easily measure soil temperature and moisture, as well as humidity, leaf wetness and atmospheric pressure. The IoT Vertical Kit includes a visualization plugin in Meshlium where you can check data in real time, display a graphic with every measured parameter between two time periods or geolocate the nodes via GPS and compare different parameters in the same node. (See image below). Find a detailed description about the hardware, sensors and information to program an application on the Agriculture Board Technical Guide . Read about a related case study with Waspmote and the Agriculture Sensor Board, integrating RFID technology in Smart Agriculture project in Galicia to monitor vineyards with Waspmote. Read more about our product lines in Waspmote, Plug & Sense! and Meshlium websites. If you are interested in purchase information please contact the Commercial Department.